Welcome back to our Meet the Sponsors post! This week we’re pleased to welcome Bond Adams Solicitors, sponsors of the Leicester Curry Awards Best Takeaway category. Leicester based Bond Adams are one of the leading law firms in the Midlands. They provide tailor made legal services to individuals, corporate and not for profit organisations in a range of specialist areas, from commercial property to education. 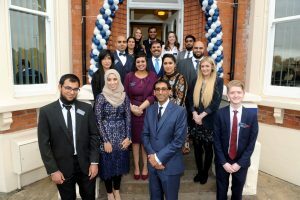 Experts in their field, their lawyers have spoken at a number of high profile seminars including events held by the Insurance Institute of Leicester and the Chartered Institute of Management Accountants. The company are also accredited members of Investors in People and believe in hiring the best employees, providing them with an appropriate career path to ensure their standards of service are second to none. 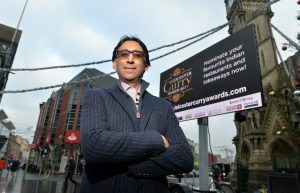 “We are delighted to be sponsoring the first ever Leicester Curry Awards. We provide legal services across Leicester and nationwide in a range of areas, and the awards complement our expertise in the Food and Drinks sector, particularly in relation to commercial leases, general food safety and hygiene, Health and Safety law and liquor licensing. The staff at Bond Adams have voted their favourite curry as Chicken Tikka Masala, a dish that has earned itself a place on the list of traditional British foods, alongside the likes of fish and chips and a good old Sunday roast. A prestigious annual gala dinner celebrating our city’s vibrant Asian culture and the culinary craftsmanship that goes into making Leicester one of the UK’s most prized curry destinations. The awards celebrate this rich heritage, highlighting the finest examples of Asian cuisine and praising the restaurateurs dedicated to serving up our beloved curries.